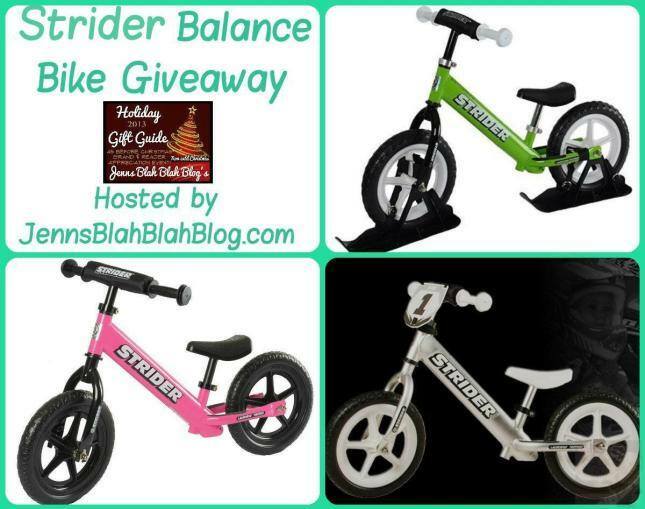 Jenns Blah Blah Blog, some of her favorite bloggers, and our awesome sponsor, Strider have come together to offer One lucky person will win a Strider Balance Bike valued at $109! Thrifty 4nsic Gal is Super Stoked to be a part of this giveaway. If you haven’t had a chance to check out Strider’s awesome bikes be srue and check out Jenns Blah Blah Blogs Strider Bike Review! I’m sure you’ll notice right away why the Strider Balance Bike has made Jenns Blah Blah Blogs 2013 Holiday Gift Guide! If you’re still looking for great gift ideas be sure to head on over! 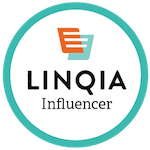 There is tons of unique products, and great giveaways – vist Jenns Holiday Gift Guide! Giveaway is open to US and Canada, must be 18 years of age or older to enter, and use the giveaway widget below. This giveaway will end on 1/10/2013 at 11:59pm EST! One lucky person will win a fabulous Strider Balance Bike! Winner chooses the color! Good Luck Everyone!